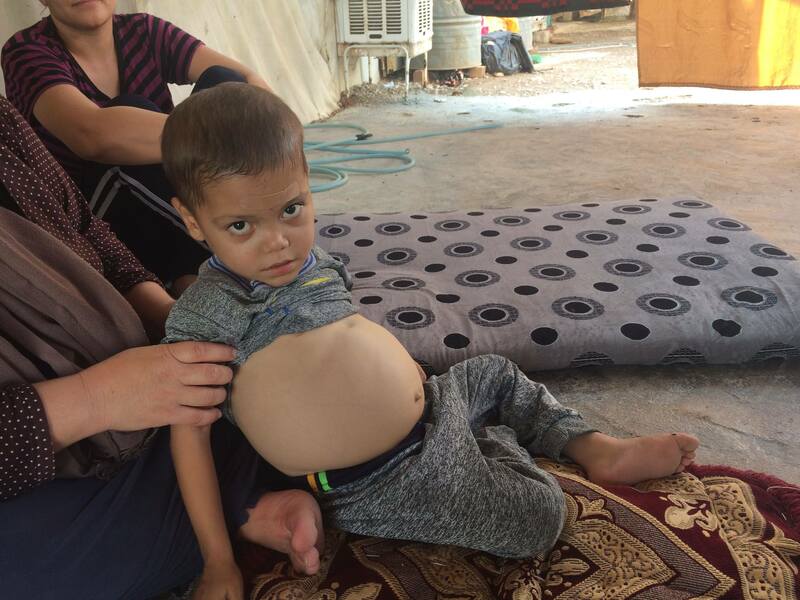 Jasin is a 4-year-old boy from the south of Sinjar. He is the youngest of five siblings. During ISIS’ invasion in 2014, his family escaped from the region by foot reaching the Syrian border after 3 days of walking through the Sinjar mountains. 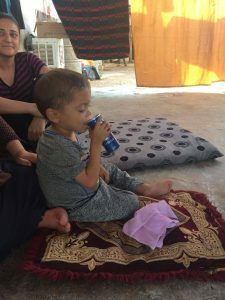 Jasin’s father stayed to defend his home against ISIS aggressors but after he was finally injured he joined his family resettling in Shari camp in Kurdistan. Now the family still lives in the camp, sharing two small tents with seven people. 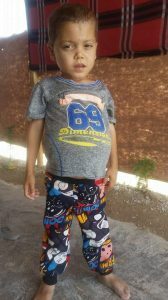 Since his injury, Jasin’s father cannot work so the family lives only on the governmental camp support (around 16$ per person per month). 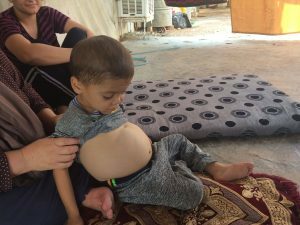 Since displacement the family has struggled to gather enough money for daily expenses and problems have intensified when Jasin was diagnosed with Major Thalassemia. This caused an accumulation of red cells in his spleen which cannot metabolise properly. Jasin’s spleen was swollen to a point that he urgently needed a splenectomy to remove the organ. As his older brother, who also suffered from Major Thalassemia, has died recently during the same operation, the family was scared to lose Jasin as well. However, the operation was urgently needed and thanks to a donation from Poland we were able to cover the expenses of the surgery and of the intra-operation injections. The procedure was a success and Jasin is recovering well. Currently, he is still going for check ups and blood transfusions regularly which we are also supporting thanks to generous Polish donors. Jasin is getting better and better every day and now he has a good chance to grow healthy!